Bingo Island Bingo Blingo Bingo Bash Zynga Bingo Bingo Heaven Wingo Bingo BINGO! The #1 mobile bingo - now on Facebook! Live Action Bingo - Play live vs. friends and other players! 24/7! Painfully Slow Bingo - Check-in daily and win big! Instant Bingo - For a fast bingo fix. 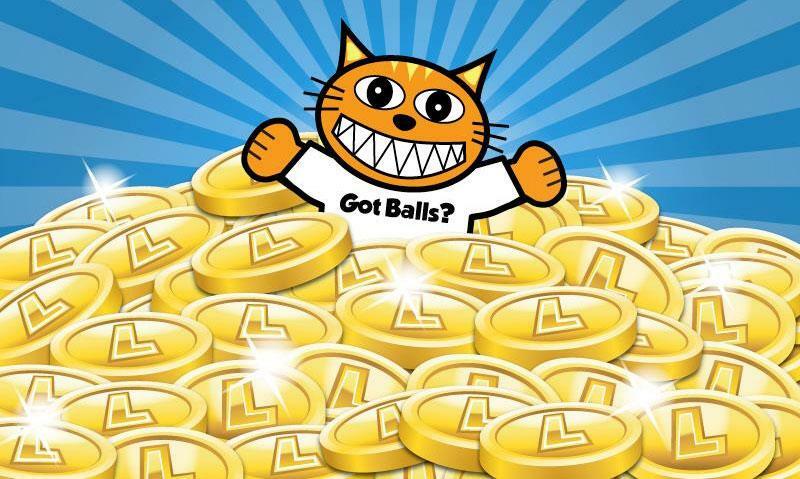 Play 'em all, all the time, for free, and win LuckyCoins. Plus chat with friends, level up for special rooms and much more. 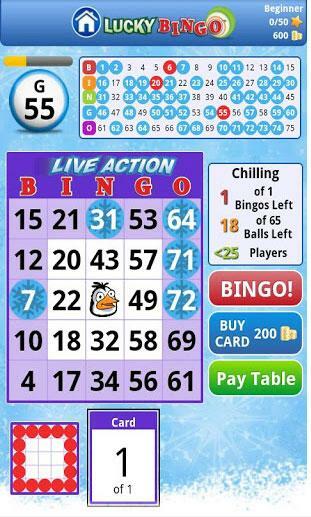 Live Action Bingo is fast and furious: Play live against friends and others, 24/7. Painfully Slow Bingo is our unique daily game: Always big jackpots, always a "Cover All" game. On Day One, 23 bingo balls are called all at once... then every day following that, at noon eastern time, 10 new balls are called, at once. Players check in for a few minutes every day to get that day's new balls and go for that jackpot. A new game starts every day! 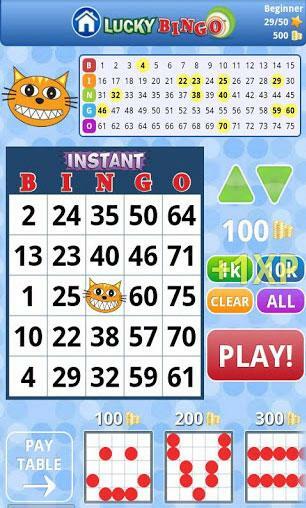 Instant Bingo offers the thrilling rush of great bingo in just seconds. Click. Play. Win! Again! Plus, all LuckyBingo players get free Daily Bonuses of LuckyCoins every day!